More photos can be found on the Norwayne Class of '63 Facebook page. consideration will be given to doing this more often. While in the area, some classmates stopped at the high school to see the new artificial turf. 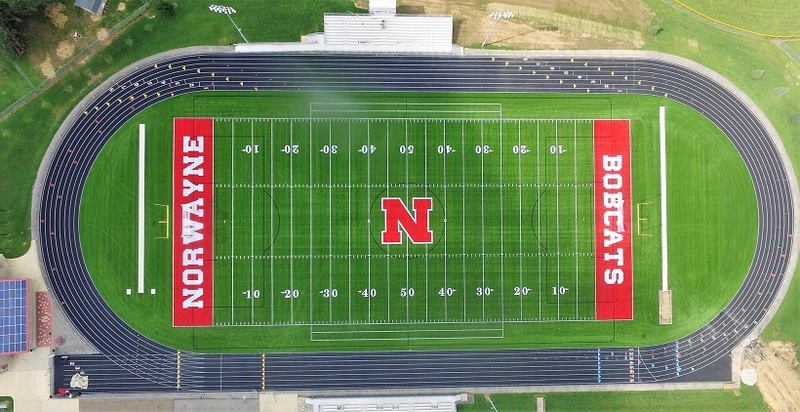 Here's the drone view. This file has the addresses used for mailing labels. See the 2013 directory for additional information. Class of '63...your class now has a CLOSED GROUP on Facebook. It was created to keep you informed of what is happening with members of the class, and to keep you updated on any upcoming plans/events/happenings for the 1963 class in the future. 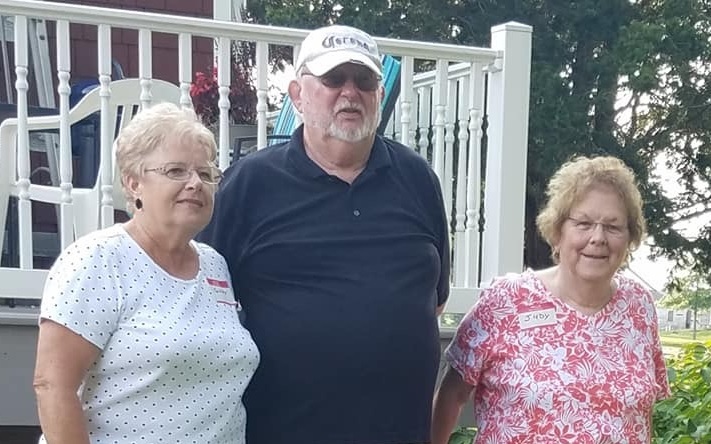 If you are on Facebook, check it out at NORWAYNE CLASS OF '63. If you are not on Facebook, and would like to be part of the group, check in to joining FB. and is now history. We had a blast! on the north side of Creston. The above photo was taken there. Click here to download a 1.5M .jpg file. Nametags, CDs, keyrings, and calendars. (Contact Earl Rupp (ejrupp@embarqmail.com) if you want a calendar or printed group photo. 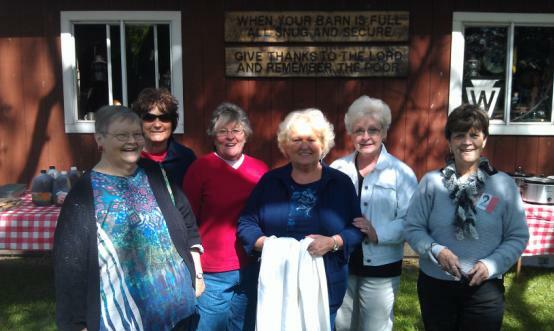 The Saturday agenda included a school tour and a cookout at the Romich farm. 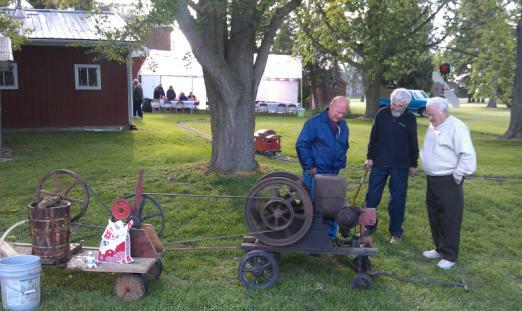 Ice cream was made using a century old gas engine. The wind and cool temperatures made the fire a popular meeting place. Many class members sat together at the Norwayne High School graduation. At the Friday evening dinner each class member was able to take home a brick from the now-gone Burbank, Creston or Sterling schools. If you didn't get one, stop by the Romich farm and pick one up. Click here to see photos of new building construction. Greetings to Members of the Norwayne "Class of 1963" and Guests! "GIVE THE WORLD THE BEST YOU HAVE AND THE BEST WILL COME BACK TO YOU!" 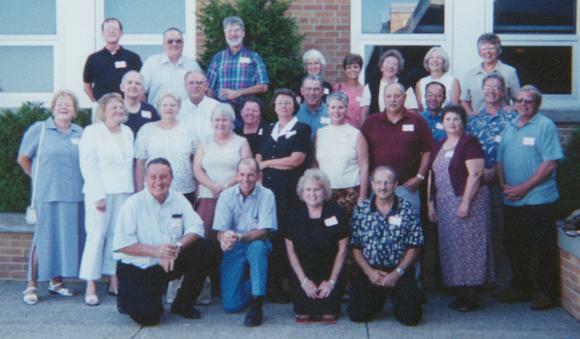 Click here to see members at the 40th reunion (2003). 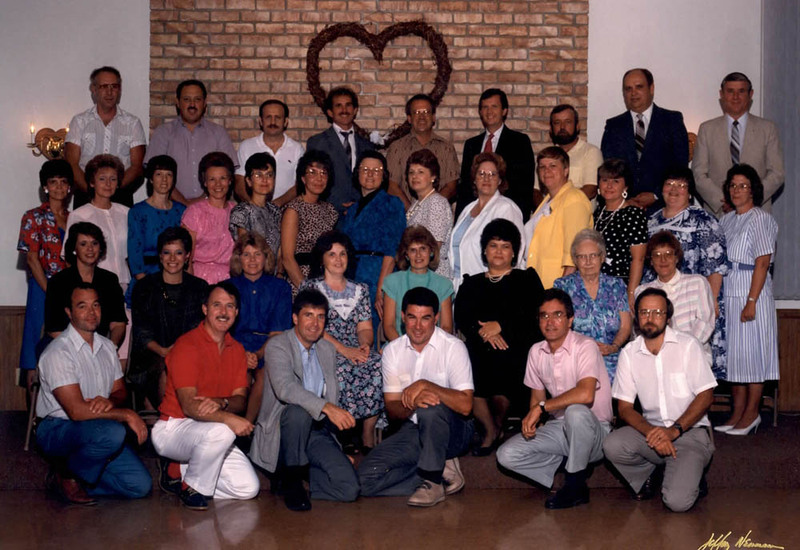 Click here to see members at the 25th reunion (1988). Click on names with links for photos. but higher resolution photos may be available for printing. Photos are requested for those for whom one isn't available. or use the form at the end of this page for sending by post to Pat and Earl Rupp. I wanted to thank you for all your hardwork in getting this class reunion together. We had a great time! Grandchildren: Samantha, Alyssa, Troy, Jr. I'm planning to come; we have dean's this year See ya then. Dean retired and we're now all over the USA. I'm only home about a week a month at most. I raise and sell Ragdoll cats (a rare breed, largest house cat on record) they travel with us. It's the cat house on wheels. Ha! Occupation: Retired Maintenance Dept. Manager – Golden Veal Corp. Occupation: Tri-County Education Service Ctr. Children: 3 daughters, 6 grandchildren and 2 [twin] great grandchildren. My wife, Elsie, and I were looking forward to attending and had made plans accordingly. Something came up and we are sorry, but we will not be able to attend this time. Please keep us informed as to the plans for the next one.